Bindi Irwin has always seemed like such a good girl. Unlike other high-profile celebrity spawn her age (hello, Kylie Jenner), she doesn’t post near-naked selfies, hasn’t undergone plastic surgery to plump any of her parts, and always wears (gasp) age-appropriate clothing that doesn’t show off any parts of her lady bits. In short, she was raise right by mom Terri Irwin and her dad, croc hunter Steve Irwin. But now Bindi is shocking her family with rumored plans to elope with her 18 year old professional wakeboarder boyfriend Chandler Powell according to this week’s issue of GLOBE. While Bindi lives at the Australia Zoo that her dad Steve Irwin founded, alongside mom Terri and her younger brother Robert. Although Bindi grew up in the public eye, first appearing on camera with her dad on his Crocodile Hunter show when she was just three weeks old, she has always been largely unspoiled. Bindi was homeschooled and has been heavily involved in animal conservation her whole life. That’s why her mom Terri and family friends are shocked that the level-headed teen is pondering leaving the Australia Zoo and moving to Florida to be with boyfriend Chandler Powell. Bindi got her mom to make Powell a Global Wildlife Ambassador for her family’s conservation program and they have been dating long distance but it seems like Bindi is no longer ready to settle for the miles between the two of them. Will Terri Irwin cave and invite Chandler Powell to move onto the Australia Zoo property with them to keep Bindi Irwin at home and by her side or keep pushing them apart? Terri thinks Bindi is too young to know who she wants to be with long term and thinks Bindi should date around more before she settles down. Unfortunately, Bindi is certain that Chandler is who she wants and is determined to have him. What’s interesting is the Bindi seems to have landed herself a Croc Hunter look-a-like in Chandler Powell. He strongly resembles the father she lost when she was just 10 when he was stabbed in the heart by a stingray while filming a documentary. Chandler is an outdoorsy guy who cares about animals and shares many of the same strong facial features as her father. So could Bindi be looking to lock down Chandler in her life to replace her dad? 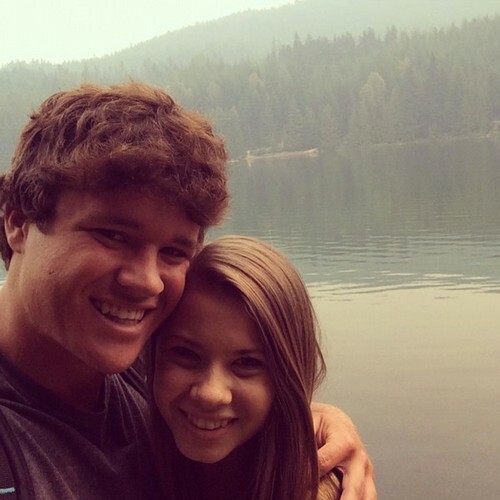 Bindi Irwin recently told ET that “There is someone special in my life right now… I’m really happy about that. Life is wonderful at the moment.” She added that “Dad is and always will be my living, breathing superhero.” Now it looks like Bindi may have found a new superhero in young love Chandler. But will Terri have to give in and let Bindi and Chandler play house under her nose in Australia or risk losing her if Bindi runs off to Florida to be with Chandler at his home? Consider this – Bindi celebrated her 17th birthday at the Australia Zoo with a treehouse cake surrounded by family, friends, Zoo staff and supporters of her family’s conservation group. Compare this to Kylie Jenner ringing her 17th with tequila shots, much older boyfriend Tyga, rappers and boozing at a club. Even if Bindi does decide to get married young, Terri has to know she dodged a bullet since her daughter isn’t acting outrageously like other celeb-spawn of the same generation. Keith Urban’s Impending Relapse Forces Nicole Kidman Divorce: Can’t Handle More Rehab! Kandi Burruss Pregnant: Expecting Baby With Husband Todd Tucker, RHOA Star Avoiding Alcohol, Gaining Weight? Johnny Depp Upset Vanessa Paradis Handling Lily-Rose’s Career – Lily Wants Nothing To Do With Dad After Amber Heard Marriage!